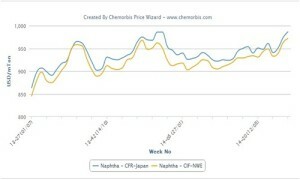 Southeast Asian and Middle Eastern producers have started to announce lower prices to Southeast Asian markets in the face of decreasing upstream costs and limited demand as per the pricing service of ChemOrbis. One major regional producer said that they implemented price reductions of $30-40/ton for PP and $40/ton for HDPE and LDPE while adding that they have not announced any export prices for LLDPE yet. 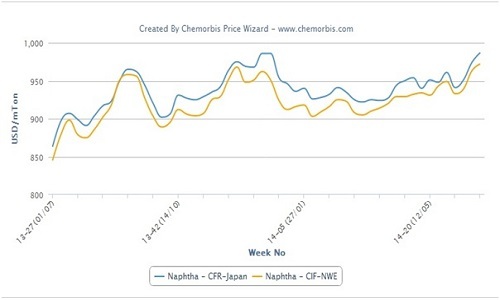 “We think that prices are likely to remain under downward pressure as prices for naphtha, ethylene and propylene all remain low while we are not all that optimistic about the demand outlook. We are not seeing good demand for PP from our domestic market and we are struggling to conclude deals for this product,” a producer source commented. A trader based in Malaysia said that they received new December shipment prices from another major regional producer with decreases of $60/ton for LDPE, $20-50/ton for PP copolymer and $50/ton for PP homopolymer. “Our supplier agreed to some significant reductions for December, but we are concerned that sales may be difficult as there are many attractively-priced offers available in the market,” the trader stated. A trader based in Vietnam reported that they received new December raffia prices from a Saudi producer with decreases at the start of the week while adding that the supplier agreed to a further $30/ton decline later in the week. “We purchased some material after our supplier’s latest reduction, but we did not purchase a large amount of material as we believe that prices still have some room to move lower,” the trader reported. Another trader reported concluding some homo-PP deals for a Southeast Asian origin at prices $50/ton below the levels the supplier had initially been planning to offer. “We elected to lower our prices to maintain our competiveness as there are many attractive offers available in the market,” the trader stated. According to ChemOrbis, meanwhile, a Thai producer said that they reduced their homo-PP prices to Vietnam by $10/ton while maintaining their prices for HDPE film, injection and blow moulding. “We are facing some difficulties concluding deals given competitively-priced offers for Middle Eastern materials,” a producer source commented.